Summer may be over, but that doesn’t mean you have to stop making delicious salads. They’re always welcome for lunch, as a side dish, or even as a main meal on its own or with some protein included. And it’s another great way to use up what you have in your fridge, freezer and/or pantry. Hence, the name I gave it. Taste as you go along with this. If you aren’t using marinated olives, you’ll need something else, like extra virgin olive oil to make up for the “juice”. Use different spices if you want, although with the combination of ingredients I used here, I really like how the oregano compliments them. Keep textures in mind, too. Make sure you have at least one or two ingredients that give the salad a bit of crunch, like the onion and cucumber I used. It’s important to have that as part of the dish. This recipe makes a LOT of salad, so this is perfect to bring along to a potluck or anywhere for a larger group. Or, feel free to make it for your family…the leftovers will store well for about a week in the fridge. Cook orzo according to package directions. Drain and let cool (if you run it under cool water, keep it BRIEF…you want to save some of the starchiness of it). Combine with remaining ingredients. Store in fridge or serve at room temperature. 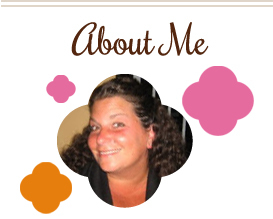 This entry was posted in lemon, make ahead, pasta, QuickAndEasy, salad, side dishes, tomatoes. Bookmark the permalink. I eat salads year round, so I’m glad to see that you do, too. This one has some great flavors in it. I love artichoke hearts in everything. 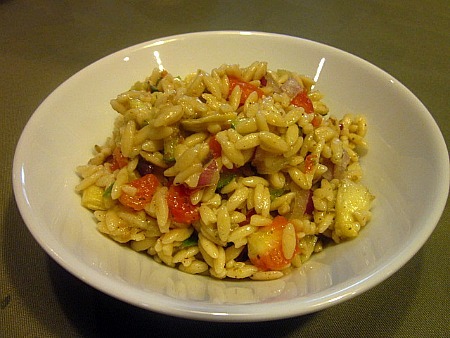 I love orzo – definitely my favorite pasta to turn into a salad. So much flavor here – sounds just wonderful with the artichokes and tomatoes – yum!